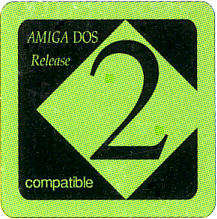 Shipped with: (later) Amiga 600 and 600HD models; available as a stand-alone update for all Amiga models. Support for PCMCIA slots via the CC0: device (as of Kickstart v37.300). Support for internal IDE (as of Kickstart v37.300). Support for hard drives larger than 40MB (as of Kickstart v37.350). Support for high-density floppy disk drives. Included "PrepCard" for the PCMCIA slot on the Extras disk. Recoverable RAM drive renamed to RAM_0:. There are no visual differences between Workbench 2.04 and 2.05. Hidden messages: Same as 2.04. Colin Wenzel notes that: "You can boot different variations of drives on earlier versions before 37.350, but 37.350 is the first version that has no size limitation imposed on the drive, (except for the 4GB filesystem issue). v37.299 won't autoboot any HD. v37.300 will boot drives of limited size; I believe that to be 40MB or smaller, although I don't remember why. However, there is definitely supposed to be a limit, be it by a software bug or an error that will destroy your data if you go past a known size, I simply don't know now... or, it may be simply that some brands of drives just didn't work. v37.350 will boot anything [below 4GB], anytime, without any known problems." 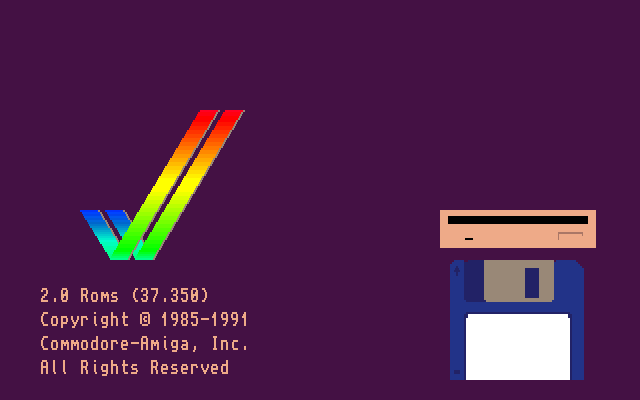 Giorgio Moscardi reports that he managed to get a 210MB IDE hard drive working in his Amiga 600 with Kickstart 37.300. He's also heard of many other people doing the same (even with 800MB hard drives). While the speech support files were completely removed from 2.1, some 2.05 disks were also shipped without them, as Kenton Groombridge notes: "The OS that was shipped with the A600 was stripped. If you purchased the full 2.05, it was there. 2.05 was the last version of the OS that shipped with narrator.device and translator.library." 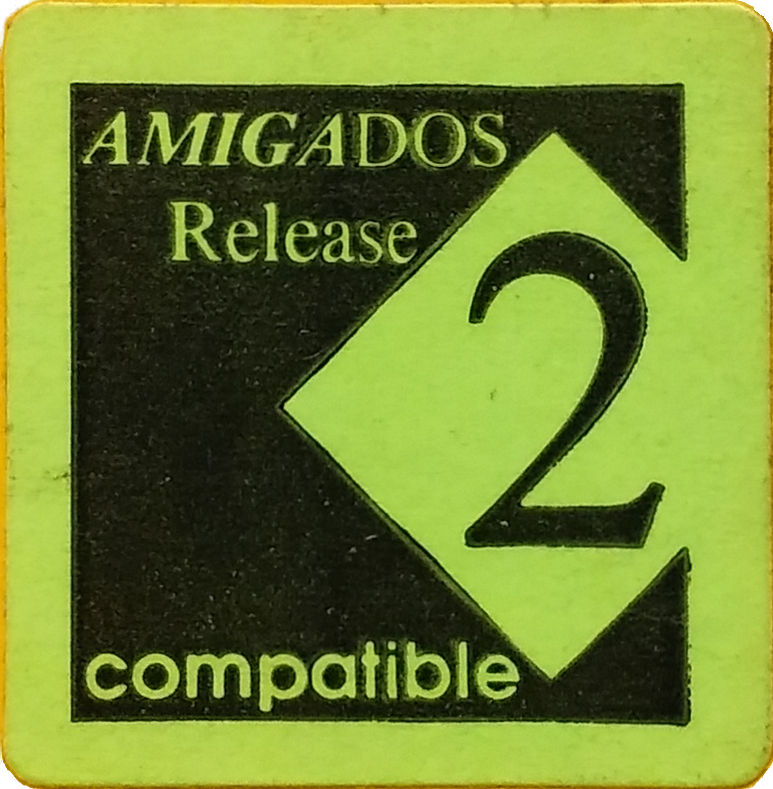 Like 2.04, the 2.05 Install disk was only shipped with Amigas containing hard drives. 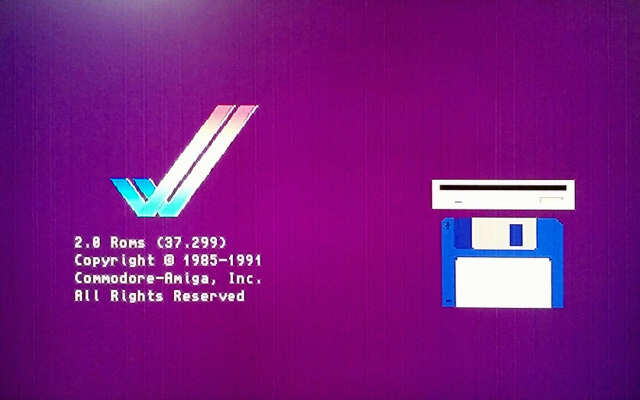 Rodney Hester believes that the Install disk was non-existent with v37.72, since it was designed for the A600 (A600HD owners received a full set of v37.71 disks). Although most A600s used 2.05, very early A600s used 2.04, and thus had no internal IDE or PCMCIA support. Richard Lane notes that these unlucky A600 owners had to upgrade to 2.05 (specifically Kickstart v37.300, which added both IDE and PCMCIA support) if they wanted to use either IDE hard drives or PCMCIA cards. Chris Young recalls seeing a later A600 with the early Kickstart 37.299 ROM which could run some games that failed on Kickstart 37.300+ models.